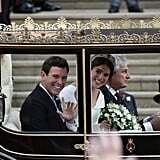 Princess Eugenie and Jack Brooksbank officially tied the knot on Friday in a gorgeous ceremony at St. George's Chapel in Windsor. 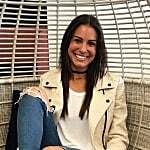 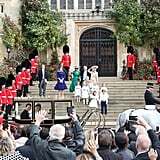 While there were many elements of the wedding that were similar to Prince Harry and Meghan Markle's ceremony at the same location back in May, we can all agree that the one major difference is absolutely the weather. 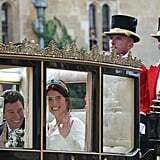 It's been a long time since a royal wedding took place in October — in fact, the last time was in 1993 for the nuptials of now-Earl of Snowdon and Serena Stanhope — and, well, we think the wind might have something to do with that statistic! 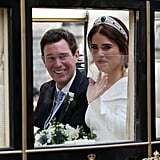 The wind was strong at Eugenie's wedding: fascinators were flying away, elegant dresses were blown upward, and the general public looked on as they held onto their headwear for dear life. 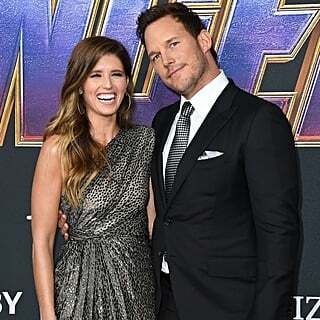 "It's like winddddd on your wedding day." 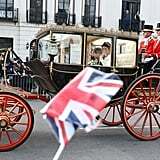 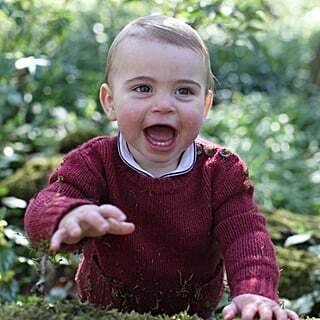 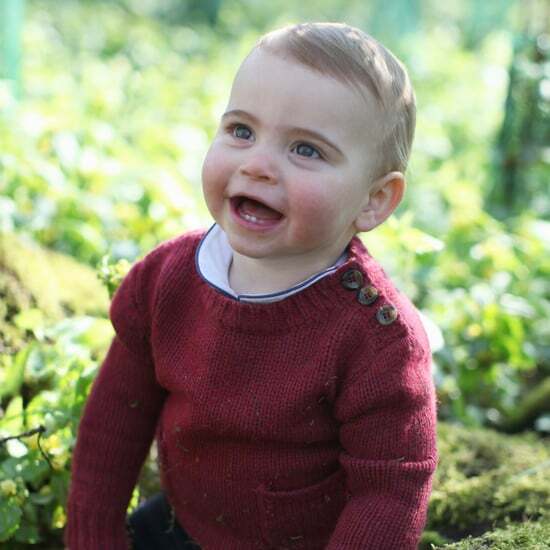 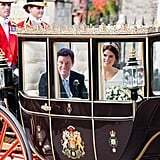 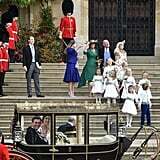 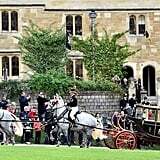 It was initially believed that Eugenie and Jack would ride in an open-top State Landau carriage, like the one Harry and Meghan used after their ceremony, but Mother Nature had other plans, and so did the newlyweds. 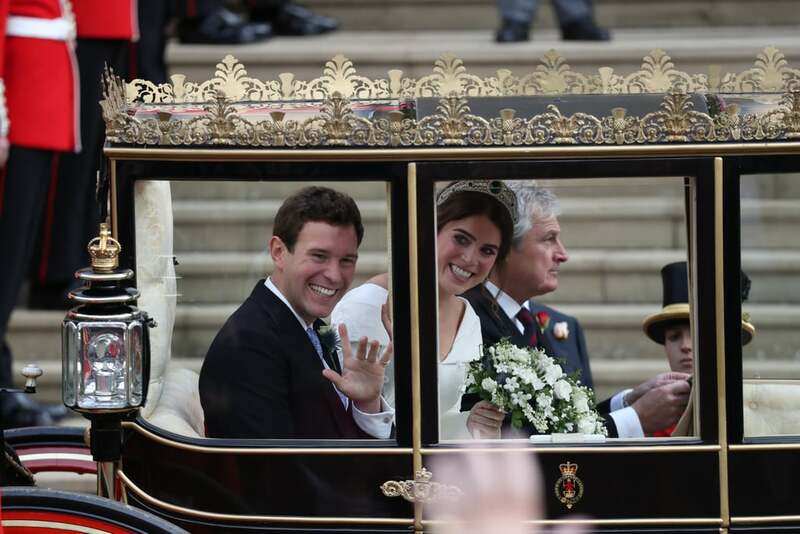 According to People, Eugenie and Jack opted for a Scottish State Coach. 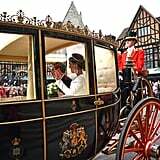 "Originally known as the Cambridge Coach, the Scottish State Coach was remodelled in 1968 on the Queen's instruction to create a coach specifically for Scotland. 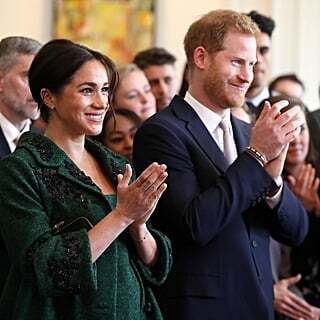 The emblems of the Order of the Thistle, the highest order of chivalry in Scotland, and the Scottish version of the Royal Arms were painted on the sides," the site reports. 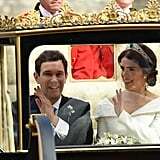 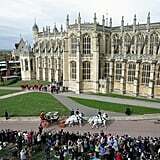 The couple departed St. George's Chapel in the closed-top carriage, avoiding any possibilities for that gorgeous emerald tiara to fly away, and made their way through a "short carriage procession" through Windsor Castle "along part of the High Street," before returning to the Castle, according to Kensington Palace. 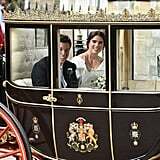 Read on to see photos of Princess Eugenie and Jack in their historic closed-top carriage and see their gorgeous newlywed glow.